“If you buy just one health book this year, then get The Lucky Years” (Howard Stern). In this groundbreaking guide, bestselling author David Agus shows how we can take control of our health like never before in the brave new world of medicine. In his first bestseller, The End of Illness, David Agus revealed how to add vibrant years to your life by knowing the real facts of health. In The Lucky Years, he builds on that theme by showing why this is the luckiest time yet to be alive, giving you the keys to a new kingdom of wellness. In this new golden age, you’ll be able to take full advantage of the latest science and technologies to customize your care. Imagine being able to: edit your DNA to increase a healthy lifespan; use simple technologies to avoid or control chronic conditions like pain, depression, high blood pressure, and diabetes; prolong natural fertility and have children in your forties; lose weight effortlessly without a trendy diet; reverse aging to look, feel, and physically be ten years younger; and turn cancer into a manageable condition you can live with indefinitely. That’s the picture of the future that you can enter—starting today. With “practical health information fortified with exciting news from the forefront of modern medical technology” (Kirkus Reviews), this is an essential, important read. “If you have made a new year’s resolution to get healthier, you’ll find a buddy in David B. Agus’s new book” (The Boston Globe). Welcome to the Lucky Years. I’m fascinated by the idea that genetics is digital. A gene is a long sequence of coded letters, like computer information. Modern biology is becoming very much a branch of information technology. Hardly a day goes by that I don’t get at least one question about whether or not X, Y, or Z is “healthful.” And yet I encounter a lot of skeptics and naysayers who want to go to battle against compelling, irrefutable data. It’s disheartening to hear that public trust in physicians has plummeted over the past several decades.1 In 1966, almost 75 percent of Americans said they had great confidence in the leaders of the medical profession; by 2012, that percentage had dwindled to some 30 percent. Why is this happening, and what does it mean for our collective and individual health? In another study, Princeton researchers found that people tend to regard scientists as they do CEOs and lawyers: all three types of professionals are perceived as highly competent but cold. Their work earns respect but not trust. 1. Companies knowingly dump large quantities of dangerous chemicals into our water supply. 2. A US spy agency infected African Americans with HIV (and some are now saying that viruses with high mortality rates such as Ebola have been used for sinister purposes such as population control). 3. The government tells parents to give vaccines to their children even though that could increase their risk of developing autism. 4. US health officials withhold information about natural cures for cancer so that pharmaceutical companies can continue to profit. 5. The government and health officials pretend they don’t know that cell phones can cause cancer. 6. Genetically modified foods (GMOs) are a plot to shrink the global population by delivering foods that can be toxic to unsuspecting consumers. To my chagrin, the greatest proportion of people in the study—more than one third—believed that corrupt practices occur routinely in my line of work. They subscribe to the idea that the FDA deliberately suppresses information about alternative cancer treatments that don’t entail drugs and radiation. Do any of these theories have merit? None do. Unfortunately, many people don’t know where to turn for unbiased, trustworthy information, so these dangerous mythologies persist. And merchants of doubt and fear will keep these ideas alive. After the publication of The End of Illness, my first book, I went through a revealing experiment. My credibility and “persona” were put to the test when four focus groups categorized by age (two groups of twenty-one- to thirty-nine-year-olds and two groups of forty- to sixty-year-olds) were exposed to a series of clips of me on various television shows. Then they were each interviewed about their general impressions of health and reactions to my message. Mind you, these were people who were chosen because they actively gathered information on health and wellness, and none worked in a health care setting. I won points for coming across as warm, trustworthy, passionate, and knowledgeable, but it didn’t end there. I learned that Americans, broadly speaking, are inherently mistrustful of “experts”; they presume everyone is in someone’s financial pocket and worry doctors could push drugs for kickbacks rather than solely making decisions in the patient’s best health interest. I also learned, this one to my surprise, that Americans perceive vitamins and drugs differently. They are psychologically averse to taking drugs, but not to taking vitamins. Why? Because, according to accepted wisdom, pharmaceutical companies promote drugs for their financial interests whereas purveyors of vitamins are motivated by your health interests. Suffice it to say, I walked away from the experience having learned that it’s more important to express human concern than to launch into a jargonistic lecture about medicine. It can be hard to change people’s fierce beliefs about health, and that may be because holding on to them is part of our preprogrammed survival instinct. But we’re no longer residing in caves. Now that we live in an era of abundant information and data, we need to develop a new survival instinct that’s deft at navigating through the rapidly changing flow of information, some of it good, some of it not so good. Consider supplements, including those touted by popular physicians in the media. Most people are surprised to learn that supplements are almost entirely unregulated, so you don’t know what you’re really getting when you buy them, and their side effects and potential consequences to you could be hidden or, worse, unknown. One of my most important pieces of advice to people who seek the secrets to living long and well, and deciphering the good from the bad information, is to honor your body as an exceedingly complex organism with its own unique nuances, patterns, preferences, and needs. And there is no “right” answer in health decisions. You have to make suitable decisions for you based on your personal values and unique health circumstances as your context evolves and changes throughout your life. As it turns out, we’re finally at a time in medicine where we can start to customize prescriptions for people—both general lifestyle interventions and specific drug and dosage recommendations to prevent, treat, or head off a disease. It doesn’t matter if you call it personalized or precision medicine. The goal is the same: to prolong the quality of individuals’ lives by using their personal health profiles to guide decisions about the prevention, diagnosis, and treatment of disease. And by profile, I don’t mean just one’s genetic code. More than a decade has passed since scientists sequenced the entire human genome of about 30,000 total genes and 3 billion letters, and since then we’ve made many discoveries about the power we can wield over our individual DNA. Disease cannot be predicted by genes alone, for our genes don’t work in a vacuum. Instead, they are significantly influenced by complex interactions with our diet, behavior, stress, attitude, pharmaceuticals, and environment. Every day a new finding correlates these factors with risk for illness. So when a diagnosis does in fact come in, you probably cannot point the finger at any single culprit. The condition is likely caused by an elaborate network of forces interacting within the complex human body. And ultimately, the result is that certain genes get turned on or off, triggering pathways whose endpoints are illness. Let’s say you have a genetic vulnerability to stomach cancer and heart disease. Does this mean these ailments are your destiny? Far from it. Your lifestyle choices largely determine whether those inherited codes express themselves or not and become your liabilities in life. In other words, you get to choose—to some degree—how your DNA is manifested. Genetics account for about a quarter of aging—how fast or slow you age and whether or not you’re still getting carded at age forty. Habits can sometimes trump genes when it comes to the pace of your aging and how long you live. The nature vs. nurture debate has been clarified by the science of epigenetics—the science of controlling genes through environmental forces, such as diet and exercise. But my thoughts on epigenetics aren’t totally aligned with those of other doctors. I don’t, for example, subscribe to the theory that doing X, Y, and Z can change gene A, B, and C to effect outcome D, E, F. This is a complicated area of medicine where the data is still elusive. That said, I do believe that none of us is necessarily a victim of our DNA. And a lot of the advice doled out amid the hand waving is often good general advice, such as “eat real food” and “move more throughout the day.” Who can argue with that? As an aside, I find it amusing that in the summer of 1960, at another meeting where Wanda Lunsford presented her reports about the power of parabiosis—which were largely ignored by the general media—findings from another rat study zipped out to the nation through the Associated Press.3 To quote the news directly: “How to Live Longer? Slow Eating! An experiment on rats has yielded hope that overweight people can prolong their life expectancy by as much as 20 percent. The Secret: Eat half as much.” Again, can we argue with that? So we can be the architects of our own future health, so long as we’re realistic about what we can control or hope to control. Now, sometimes certain genes are, in and of themselves, enough to cause disease regardless of how we live. But the vast majority of conditions commonly diagnosed today are those that result from the intricate play between genes and the body’s contextualized environment. This helps explain why most of the women diagnosed with breast cancer, or any degenerative condition for that matter, don’t carry any inherited genetic mutations associated with the disease, nor do they have a family history of it. For example, Angelina Jolie’s double mastectomy in 2013 was the right choice for her because she had a genetic mutation known to dramatically increase the likelihood of breast (and ovarian) cancer, but this is uncommon; only 5 percent to 10 percent of breast cancer cases in women are attributed to a harmful mutation in BRCA1 and/or BRCA2 genes. Most women who have a mastectomy choose to do it for other reasons. And those who opt for a double mastectomy due to cancer in one breast but who don’t carry faulty genes linked to breast cancer will only increase their chances of survival negligibly—less than 1 percent over twenty years. Heart disease, for another example, remains our number one killer for both men and women, but the most common causes of heart disease are not congenital heart defects. They are factors such as smoking, excessive use of alcohol or drug abuse, and the downstream effects of poor diet and unremitting stress, obesity, diabetes, and high blood pressure. Note that these are all factors that change a person’s context. In 2015, the number of obese individuals in the United States as measured by body mass index (BMI) finally overtook the number of people who are overweight. That wasn’t the year that people’s genes changed to code for obesity. Something in their environment—in their context—changed, leading to more obesity, which is defined as having a BMI of 30 or above. While that sounds like terrible news, the silver lining is that such variables as the environment are often changeable, thereby making the outcome—obesity—reversible. And that’s the kind of positive thinking we need going forward. Alongside that positive thinking will be new technologies that make ending obesity, as well as other maladies, possible. Do you need to have your DNA profiled today? Not necessarily. My whole point is to show you how to take advantage of the most accessible, inexpensive tools in understanding your health and your health care needs. Besides, in the future doctors won’t have to analyze your entire genome. They’ll be able to use a simple blood test to look for genetic markers that are associated with certain risk factors. We already know of about three hundred markers that matter to human health. And dozens more will soon follow, if they haven’t already by the time you read this book. I am confident that within five to ten years, each one of us can be living a life of prevention that’s so attuned to our individual contexts that diseases of today will be virtually eradicated. But this requires that we each get started now. In 2007, I was asked to be on Steve Jobs’s medical team to help with his care and serve as a sounding board for him to discuss all the specialists he had in his circle. He was trying to stay as many steps ahead of his cancer as possible. This particular cadre of specialists not only included a handful of doctors from Stanford, close to where Steve lived and worked, but also entailed collaborations with Johns Hopkins and the Broad Institute of MIT and Harvard, as well as the liver transplant program of the University of Tennessee. We took an aggressive, integrated approach that leveraged the best anticancer technology at our disposal. This meant sequencing his tumors’ genes so we could pick specific drugs that would target the defects in the cells that made them rogue. It was a revolutionary approach and totally different from conventional therapy, which generally attacks cell division in all of a body’s cells, striking healthy ones along with cancerous ones. For us on his medical team, it was like playing chess. We’d make our move with a certain cocktail of drugs, some of which were novel and just in development, and then wait to see what the cancer would do next. When it mutated and found a crafty way to circumvent the impact of the drugs we were using, we’d find another combination to throw at the cancer in our next chess move. I’ll never forget the day we doctors huddled in a hotel room with Steve to go over the results of the genetic sequencing for his cancer. This type of sequencing isn’t as black-and-white as you might think. Just as interpreting someone’s genetic profile can be subjective, so can the actual sequencing. Even the best gene sequencers from different institutions can find slightly different DNA portraits for the same exact patient, which is what happened with Steve’s screening. After Steve verbally criticized some of us for using Microsoft PowerPoint rather than Apple’s Keynote for our presentations, he learned that Harvard’s results from testing his tumor’s DNA didn’t line up exactly with those from Johns Hopkins. This made our strategizing all the more challenging and demanded that we all get together to go over the molecular data and agree on a game plan. I wish we could have saved him or turned his cancer into a chronic condition that could be controlled at the molecular level so he could go on to live a longer life and eventually die of something else. I have faith that one day cancer will be a manageable condition much in the way people can live with arthritis or type 1 diabetes for a long time before succumbing to, say, an age-related heart attack or stroke. Imagine being able to edit not only your own genes to live longer, but those of a cancer to keep it at bay, silence its copying power, and stop it in its tracks. From a rudimentary perspective, genes are your body’s instructions, encoded in DNA. And cancer involves genes with a defect or defects that enable the “bad” cells containing those genes to block their own death or to continually divide, creating more rogue cells that can then maim the body’s tissues and functionality. So with molecular anti-cancer therapies, it’ll be like fixing the typos and misspellings in your personal “document” to live as long as humanly possible. Cancer will become a manageable life sentence, not a death sentence. Over the past few years, thousands of laboratories around the world have begun to use CRISPR technology in their research. In April 2015, Chinese scientists reported that, for the first time, they had edited the genomes of human embryos.5 Wow! This was all made possible by a single discovery in 2012 by Jennifer A. Doudna, a biochemist at the University of California, Berkeley, who changed this field virtually overnight. Discoveries like this are now happening all the time around the world, and we need to be ready. It used to take a long time for new scientific knowledge or technologies published in the medical literature to enter mainstream medicine and fellow research labs, let alone the average doctor’s visit. While it’s been estimated that seventeen years usually passes before research evidence becomes part of clinical practice, that lag time will diminish quickly in the Lucky Years.6 You’ll be able to benefit from the findings of a new study or from a new technology in a matter of hours or days, not years or decades. But we’ll have to figure out what to do with technologies like CRISPR before we unleash those into a clinical setting. Unlike Jobs’s binary world of computer programming, my field was a source of agony for him because I had to reconcile the hazy line between the science and art of medicine. He couldn’t understand why I couldn’t “debug” him like an Apple engineer. But I learned again over those four years how important it is to tune in to your body. Steve had an admirable ability to listen to himself and know what his body wanted and needed. Although some will argue that he may have made some unwise choices early on in his fight against cancer—rejecting potentially life-saving surgery and turning to acupuncture, diet, and dietary supplements—that’s not the point. I’m a firm believer that each one of us should be able to make our own decisions when it comes to our health. No one can take away the fact Steve was always true to his wishes, values, and personal health decisions. That he may have lowered his chances of survival by taking an alternative route first is immaterial. It was part of his journey, and he wasn’t doing anything unethical. Steve was instrumental in choosing his therapy and his way of life from beginning to end. For him it was about how his choices made him feel. And he remained very much in tune with himself up to his last breath, letting that intuition guide his every action. I wish for that kind of mentality in not only myself, but in all my patients, friends, and loved ones. Steve once said to me: “Health sounds like something I’m supposed to eat, but it tastes really bad.” He made sure I kept the word health out of the title of my first book. But I’m using it this time in the subtitle because health has a different context now. We live in an exciting time, a world that is increasingly affording us all the opportunity to thrive for as long as we choose. At the end of the eighteenth century, the British scholar Thomas Robert Malthus wrote a controversial set of six books in which he meticulously calculated the end of the world based on the expanding population. At the time, the world housed 800 million people (to put that into perspective, that’s a little less than half the number of people who used Facebook in 2015). He predicted that once the world population hit 2 billion, there would be apocalyptic famine and war. The planet wouldn’t be able to sustain that number of people given its finite resources and arable land. Although Malthus’s computations were incredibly accurate, and many contemporary people would agree with one of Malthus’s assertions—“The power of population is indefinitely greater than the power in the earth to produce subsistence for man”—take a look around you. Obviously, we failed to elicit his predicted outcome, dubbed the Malthusian catastrophe. In 2011, we surpassed the 7-billion mark, and we are headed to a whopping 8 billion by 2030, maybe sooner. Malthus could not have foreseen the impact that technological innovation would have. It has allowed us to thrive for millennia, and will continue to do so, but only if we prioritize it like never before. Yes, we need to fix global warming, develop plans for water security, solve poverty and pollution, end world hunger, prevent chronic disease, and discover new energy sources—and we can accomplish all of this through innovation in the Lucky Years. The notion that experiments performed generations ago, like those of Wanda Lunsford, are relevant today should inspire great optimism. I only wonder how many other long-lost studies are holding the key to effective remedies and cures to our modern afflictions. And I also sometimes wonder if we have all the drugs we’d ever need to treat our ailments, but we just don’t know which ones to try on which diseases. David B. Agus, MD, author of the New York Times and international bestsellers The End of Illness and A Short Guide to a Long Life, is a professor of medicine and engineering at the University of Southern California and heads USC’s Westside Cancer Center and the Center for Applied Molecular Medicine. He is one of the world’s leading physicians and pioneering biomedical researchers, and is a CBS News contributor. He lives in Beverly Hills, California. "If you buy just one health book this year, then get The Lucky Years. In this important book, David Agus—one of the most inspiring, practical, and knowledgeable people I know—shows us how to participate in the world of personalized medicine. It’s easier than you think, if you have this book to guide you." "Dr. Agus has done it again. 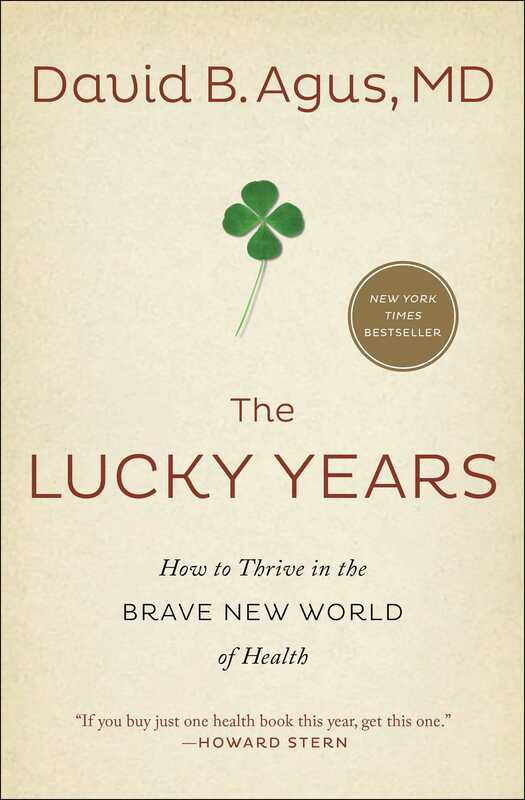 The Lucky Years gives us a smart, informed, and sensible look at the latest medical breakthroughs and new technologies. Important and courageous, it tackles tough questions while showing us how to prolong the quality and length of our lives." "It sometimes takes a genius to know the difference between what’s good and bad for us amid all the noise in health circles. Thanks, David Agus, for being that genius and writing The Lucky Years to guide us." —Michael Dell, Founder, Chairman, and Chief Executive Officer of Dell, Inc.
"In The Lucky Years, David Agus, one of the most interesting medical writers of our age, presents a provocative, highly informative way of understanding revolutions in health and healthcare today that will change the quality of our lives." 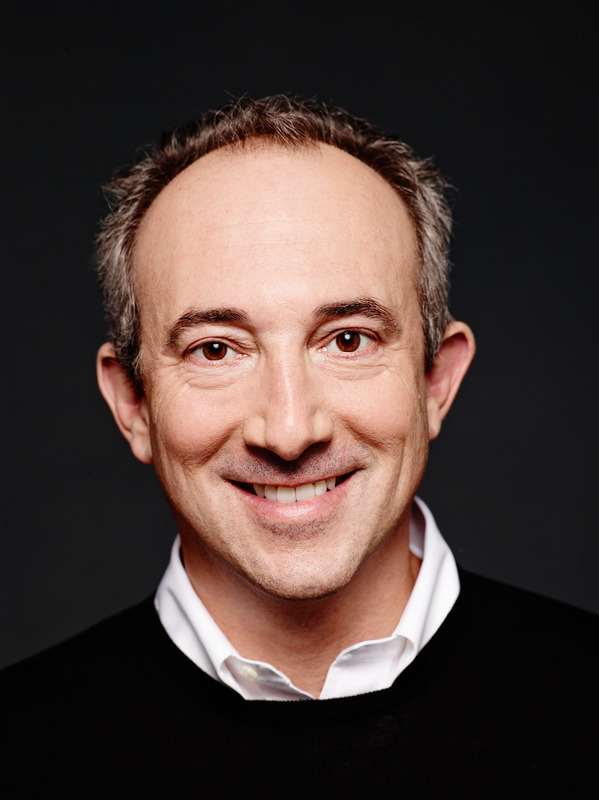 "In The Lucky Years, David Agus once again gives us a clear path to better health. We are lucky to have such an incredible guide to such a critical subject." "[Dr. Agus] takes a hard look at the latest medical findings to show simple tips to living longer." "If you have made a new year’s resolution to get healthier, you’ll find a buddy in David B. Agus’s new book, The Lucky Years." "What is strongest here is Agus’s deft marshaling of research old and new, and his common-sense guidance on preventives such as sleep hygiene and the optimal level of exercise." "In previous volumes, Agus offered useful, accessible health tips for attaining prime physical health. Here, he expands on that platform by addressing readers from a futuristic vantage point and insightfully discusses how recent technological trends have the ability to boost both the medical industry's ability to effectively treat patients and its public perception, something that has incrementally declined through the last decade. . . . Readers interested in breakthrough clinical developments will find Agus' explorations of gene therapy, immunotherapy, and revolutionary stem cell research highly informative. . . . Practical health information fortified with exciting news from the forefront of modern medical technology."